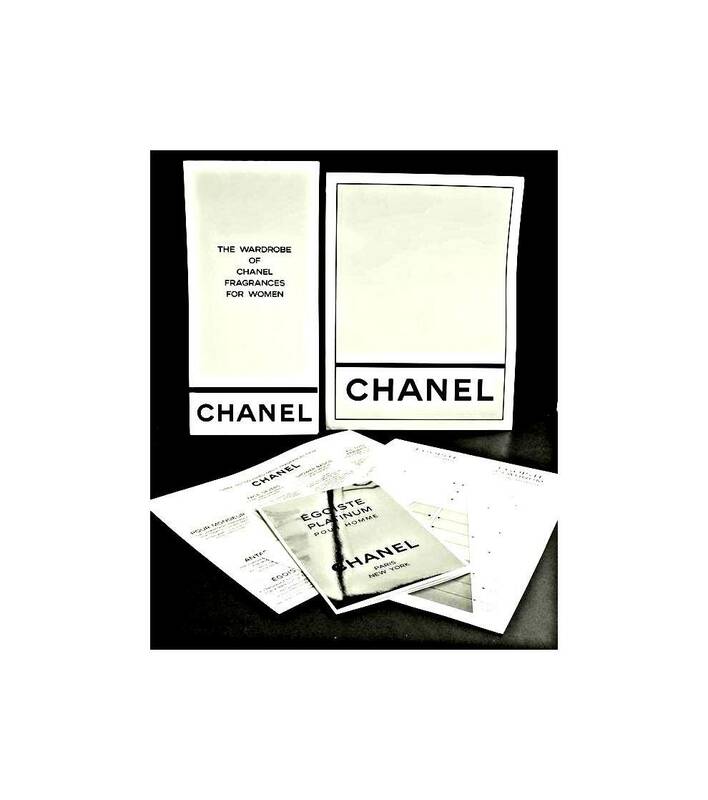 Vintage 1990s Chanel Beauty Advisors Promotional Kit for Egoiste Platinum Pour Homme & Other Men's Fragrances and Perfumes. This was a kit to help the sales rep/beauty advisor get acquainted with the new cologne and other Chanel fragrances. It includes a folder and several promotional sheets for sales staff only. These items were not meant for public sale, and are extremely rare to find. The Egoiste Platinum folder/booklet/brochure has a silver foiled front cover. You also will get the Egoiste and Egoiste Platinum comparison chart as well. 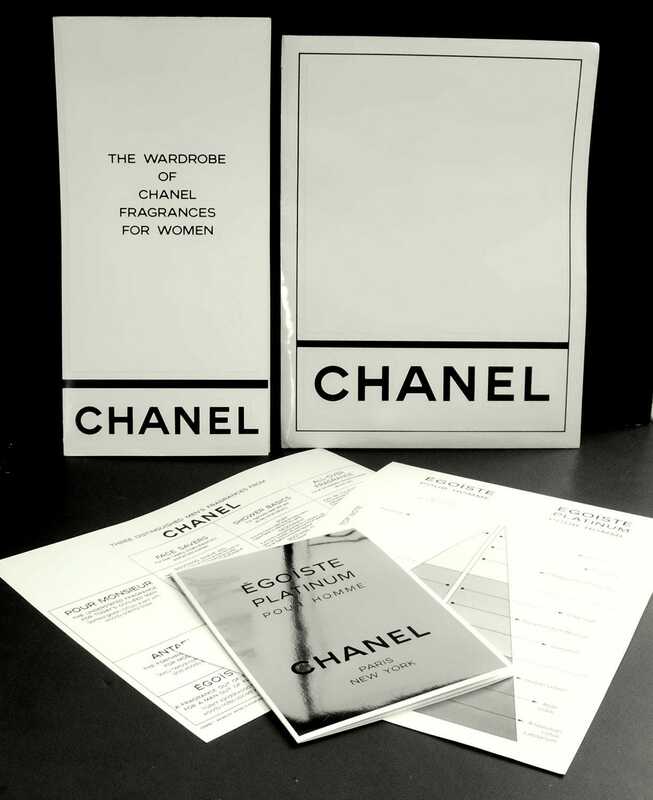 Other items of interest is the Chanel Woman's Wardrobe Fragrance Chart and the Men's Fragrances Chart. 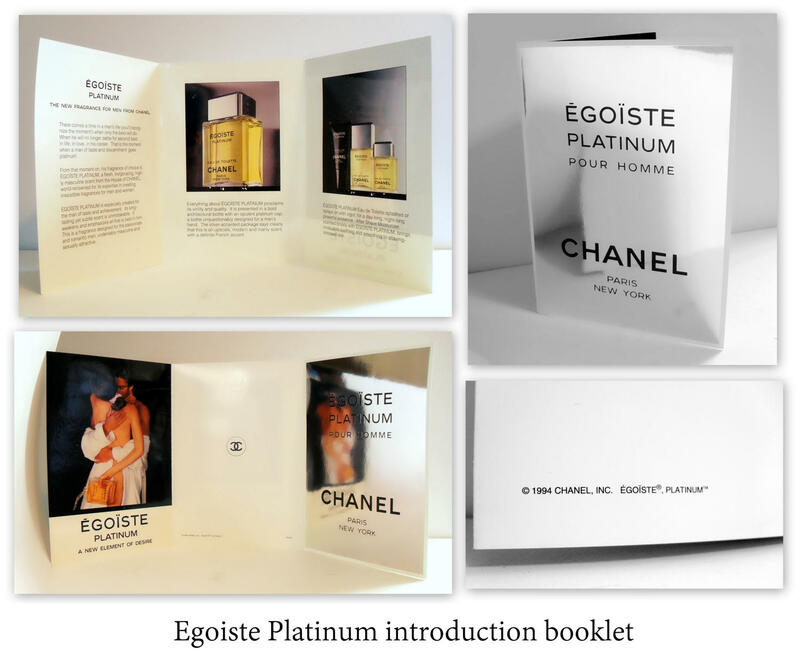 Egoiste Platinum Pour Homme was launched in 1993 so this sales kit dates to the time period. The papers are in pretty good condition, with a little wear from storage.